Furniture delivered but not yet in place. Light fixture purchased but not yet installed. Artwork framed but not yet hung. One project, though, is just about finished. My part of it is done. I've been so eager to share it with you, and the wait is nearly over. 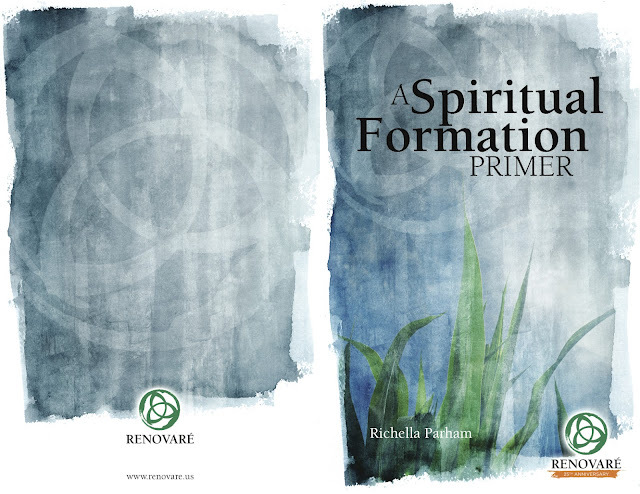 It's called A Spiritual Formation Primer, and that's exactly what it is. An introduction to Christian spiritual formation. My heart in 65 pages. It'll be available March 8 (that's just two weeks from Friday!). Whew! I'm so glad to get to share this news with you!! So how about you? What's going on at your house? Do you have unfinished projects, too? Please share! Amanda at Serenity Now for Weekend Bloggy Reading. I'm so excited for you and I can't wait to read your e-book! Yay! I have unfinished projects all over the place! Congrats on the book! The fact that the boxes say "pottery Barn" gets me sooo excited! Cannot wait to see what is in them. Congrats on the book...it sounds wonderful..to God be the glory and I know you will give him that! Excited for you! BLessings! Congratulations on getting your book published! That's some big news to have to keep to yourself for so long. I hope the book release goes well. Oh my...looks like a lot is going on in your life right now Richella. Congrats on the book! Can't wait to see the furniture and the light fixture when you are finished. What a big accomplishment for you. Congratulations! So, so, so excited for you, Richella! Can't wait to read this. Congratulations! So exciting, Richella!! Congratulations, sweet friend. How exciting! I am sure the ebook will be an instant success! As far as unfinished projects, oh my! I painted my kitchen 4 months ago, ran out of paint 4 feet from the end of the wall. Can't justify buying more paint for such a small space. I pray no one notices it everytime we have company. I think I will just use the paint I have and hope for the best! Thanks for the Spiritual Formation Primer. Renovaré sent me a copy. It was a great primer to reinforce many of the ideas I've been sharing with my teenage son. He's been living with me talking about it for the last few years since being part of the Renovaré Institute.